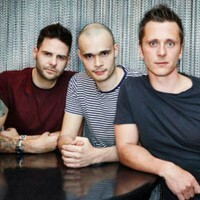 5ive have lined up a new tour for next spring. The popular '90s boy band, now comprising Scott Robinson, Ritchie Neville and Sean Conlon, will hit the road for eight Loud And Intimate shows, including a night at London's O2 Shepherd's Bush Empire, between April 16 and 24. Tickets are on sale at 10am on December 17. Click here to compare & buy Five Tickets at Stereoboard.com. 90’s boyband Five have added two Irish dates to their up and coming ‘Greatest Hits’ tour, which takes off in November. 90s boyband 5ive have added a Matinee show to their 'Greatest Hits' UK headline tour, confirming a second performance at Manchester Apollo on Saturday 30th November.